There are many reasons why Berlin is a desirable place to live. Between the eclectic food and diverse art, sprawling parks and waterways, and semi affordable rent (that we’re fighting hard to maintain) there’s something that captivates you about this city. One of the reasons I love living in Berlin is because of the freedom and individualistic style of its people and their commitment to sustainable and slow fashion. For me, sustainable fashion fits into a larger philosophy about taking a slower and more measured approach to the things that we use - whether that be our food, transportation, or clothes. 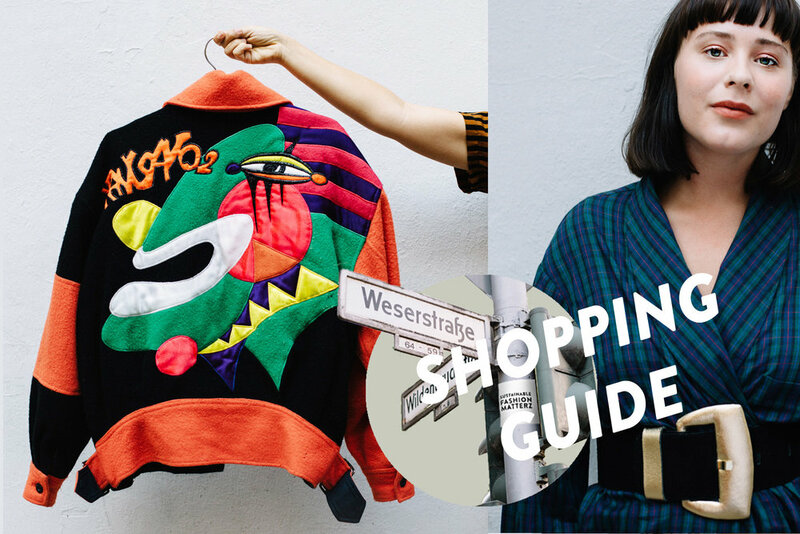 That’s why I teamed up with Sustainable Fashion Matterz to share one of my favourite neighbourhoods in Berlin, which is home to some of the most well-curated vintage, second hand, and sustainable shops in Berlin. Situated in the dense and diverse kiez of Neukölln, I visited Weserstraße on one of the warmest afternoons this summer to meet with the owners of each shop and delve into their stunning hand picked collections. On the corner of Weserstraße and Wildenbruchstraße you’ll find Let Them Eat Cake. Perhaps one of Berlin’s most well known vintage shops, Let Them Eat Cake’s hand picked items are a feast for your eyes, and most likely a nod to their name. Their collection embodies the three owners personal style: 70’s jumpsuits, wrap dress, and tall heels, 90’s high-waisted jeans and skirts, block heels, and short dresses with square necklines, and a dash of retro sportswear. Everything is deliciously mixed and can be easily styled into any wardrobe. Juno Juno is the epitome of good taste. If you’re lucky enough to visit the store while the owner Angelica is in, then you’ll understand why. Angelica has been collecting vintage since her early teens in Gothenburg, and after working two years with her neighbours at Let Them Eat Cake, she opened Juno Juno. What makes Juno Juno truly unique is that it represents the fluidity of Berlin. To Angelica, that means not being confined to one style, but instead having the option to dress in character one day or in a more uniform piece the next like a classic white button-down and black skirt. One important antidote: Angelica is the leader singer in her band, Juno Francis, and her music is a mixture of 60s and 80s psychedelic synth pop which is just as cool as her. Just across the street from Juno Juno is the atelier shop of Jamie, Lindsey, Hannah, Peppe, Krista and Judith who each bring their unique designs and sustainable labels to Obst Und Gemüse. Obst Und Gemüse has been a part of Weserstraße for six years and this summer was recently renovated to make the overall space feels less like a studio and more like a space to gather and showcase their designs. ‘What I love about having my label in Berlin is that I can afford to do what I love and source my materials more easily from sustainable resources throughout Europe,’ said Hannah who owns the label Hannah-Lee Jade. Hannah blends materials such as hemp and end of line fabrics to create her unique textiles. Pepe, who founded his label Pep / Trapiello, added that ‘more people are open minded here (Berlin) about their clothing. And that means I can design with more freedom. I can't find that anywhere else.’ Pepe’s designs focus on gender fluidity and are 100% from overstock / deadstock fabrics, with the entire production happening here in Berlin. 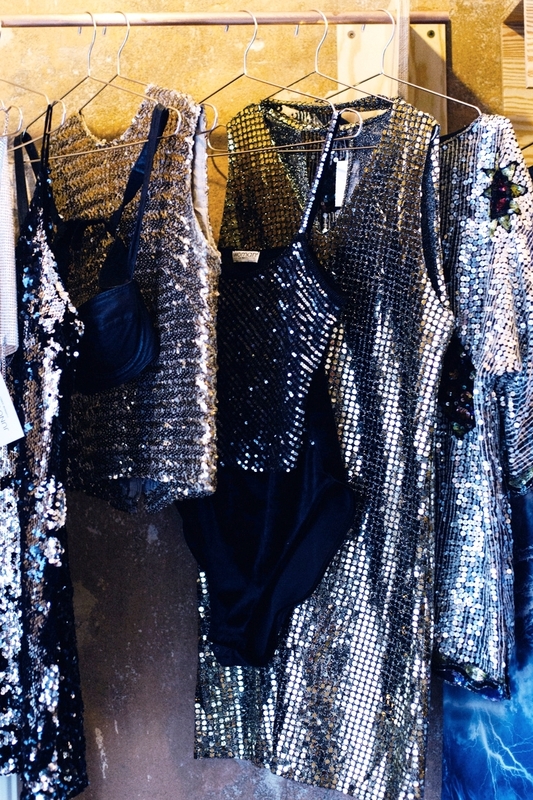 Make sure to visit the newly designed studio and the eco-friendly collections of each designer. A small departure from their more colorful and eclectic neighbours, Neuzwei is an aesthetically beautiful palette of soft neutral and creamy tones that are paired masterfully with high end designers like ACNE and Jil Sander. The owner and master collector, Barbara Molnar, has a great selection of vintage and designer clothes to take you into the new season. She also does collaborations with local jewelry designers which you can shop at her store. 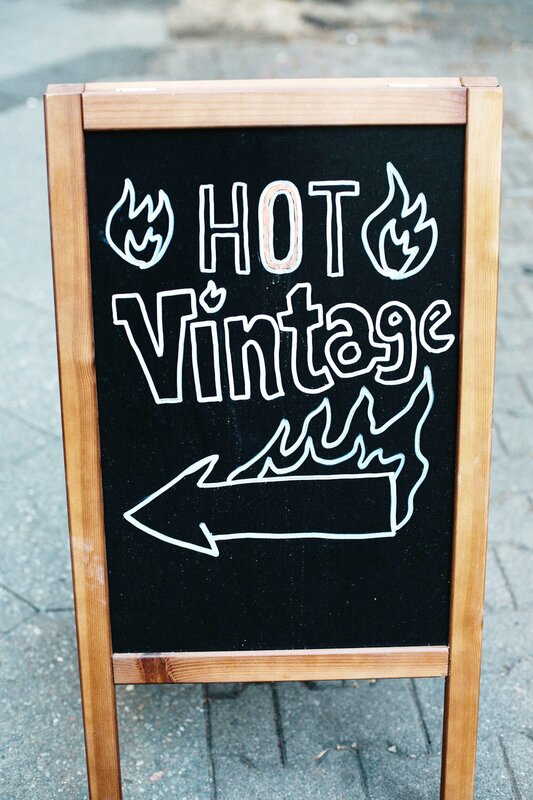 We recommend visiting for some beautiful hand selected Fall pieces. Located just off Weserstraße on Tellstraße is the studio and shop known as Wesen. Wesen houses a collection of designers who use eco-certified materials to make both women and mens clothes with a focus on comfortability and structure. Think about pieces that take you from leisurely daytime activities to nighttime events in a seamless transition. And to carry you into the cooler seasons ahead they offer a selection of handmade leather shoes and boots. As you come to the end of Weserstraße, tucked away on the side street of Sanderstraße you’ll find Aura. With one of the largest selections of rare vintage kimonos imported from Japan, Aura is a treasure chest full of timeless pieces. 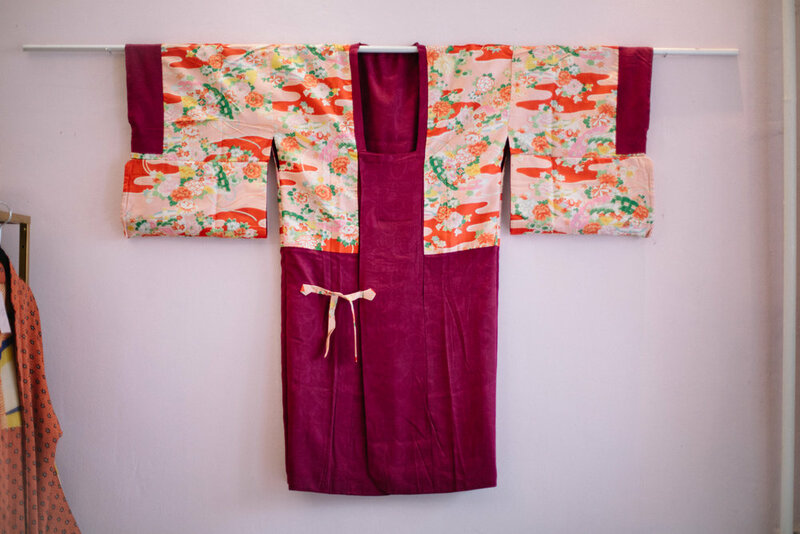 According to the owner, Amundra Gantömör, some of the handcrafted and embroidered kimonos are up to 100 years old and can be worn leisurely around the house or as a lavish statement piece out. My aesthetic of choice! As if their exquisite kimono collection was not enough, Aura offers an almost equally stunning assortment of vintage pieces spanning from the 20’s to late 80’s. If you live in Mitte, we also recommend visiting their new location which is home to some of their more high end kimonos. to all the lovely owners who let us photograph their shop and interview them. I encourage anyone who is visiting or lives in Berlin to visit Weserstraße and support these local and sustainable businesses.